Adelaide soul quartet, Lowrider, have enjoyed relatively minimum mainstream success but have managed to wow Aussie music lovers as an amazing live act and with their fusion of soul and funk. They have toured with big name acts such as Alicia Keys, Christina Aguilera, Lupe Fiasco, John Legend and Lionel Richie and have even been fortunate to play the famed SXSW festival in Austin, Texas. Furthermore, they were nominated for an ARIA Award for their previous album, Round the World, for Best Urban Album. 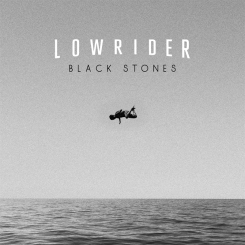 Black Stones is Lowrider’s fourth album. From the band’s sound of vocals, bass, drums and keys, a unified musical chemistry can be heard throughout. There is also a live energy and sensibility to the album that brings a real and natural element to the tracks. The polished production from drummer, Paul Bartlett, is impressive and should not go unnoticed. Black Stones definitely brings a sonic growth and development for the band with less hip hop sounds and with a diverse blend of alternative soul grooves, jazzy tunes, funk rock beats and soft ballads. This pleasant progression is sure to be welcomed by loyal fans and provides an ideal introduction to first time listeners of the band. The album kick starts with first single, Days of Boredom, a funky rock ditty that interestingly includes lyrics such as “Touch screens and status feeds” and “Hash tagging the birds and bees”. This is followed by second single, Golden Sun, an atmospheric slice of indie pop goodness. What Happened to You is a standout track with irresistibly gravelly vocals and gritty bass lines and drum beats. Other gritty sounding songs include Go Get Gone and the blues inspired The Pay Day. Another standout track and highlight of the album is the heart wrenching ballad, In My Arms. Frontman Joe Braithwaite’s vocals here are strong and sincere and are accompanied beautifully by the piano and melancholy strings. Similarly, the title track closes the album with a slower and soulful tune that sounds like a relaxing lullaby you can listen to as you drift off to sleep. Elsewhere on the album, you’ll hear the toe tapping grooves of Little Darling and And I Wonder as well as the smooth and jazzy tunes of Be a Star and This City. This album is great to listen to in the car and makes for a great road trip buddy or even makes being stuck in traffic bearable. The radio friendly tracks give Lowrider the potential to go mainstream if they decide to do so. All in all, Black Stones is a refreshing album that deserves to be heard among the trends of synthesisers, soulless auto tune and money making production that can be heard on many records today. It is clearly the powerful vocals, actual instruments, poignant lyrics and easy listening tracks that make the album shine. Listening to this will be 55 minutes well spent on hearing great Aussie soulful music.